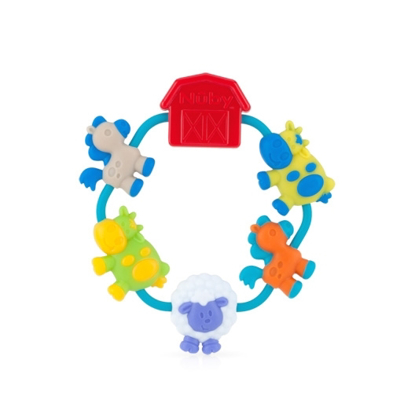 Wacky Teething Ring by Nûby™ features raised, offset surfaces that assist in the eruption of teeth by gently massaging infant’s gums. 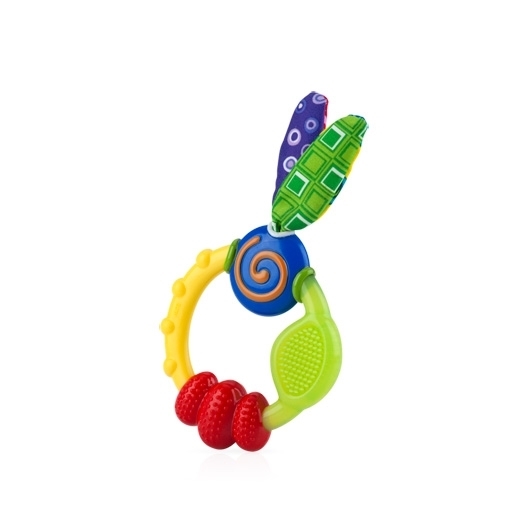 We also made the Wacky Teething Ring easy for your baby to hold and sized it for maximum effectiveness. Soft, colorful fabric crinkles with baby’s touch. 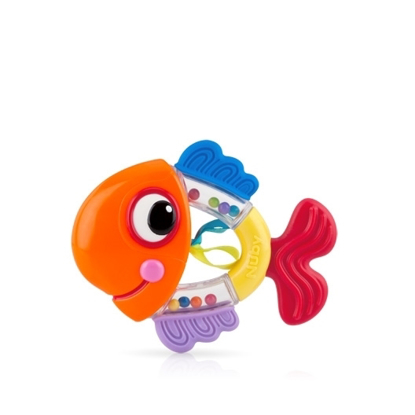 Step 1 - Front Teeth: Skin Soft™ Silicone uniquely developed for beginning teethers. Silicone bristles gently massage tender gums and aids in the break through of first teeth. Step 2 - Middle Teeth: Soft & Firm surfaces introduce greater pressure with small raised Nub-eez™ that aid in eruption of new teeth. Step 3 - Back Teeth: Hard Plastic Ring targets hard to reach molars. Large offset surfaces offer greatest assistance in this stage of teething. These are great and inexpensive little hand held toys to carry with you. The little tips at the top make a crackle sound when you mess with them. Then you have the ribbed/bumpy yellow and red parts which is fun for them to chew on. The best part in my opinion is the little brushes. It massages the gums of the teething child.